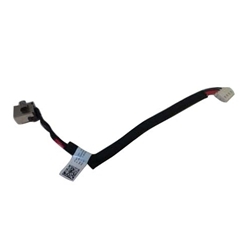 Description: New genuine Acer laptop 40 watt dc jack cable. This original cable may be the part you need if the pin in your current jack is broken or if you are experiencing power problems. Compatible Part #'s: 50.MLQN7.001, DD0ZQ0AD100.